Schematization of water movement and use in a numeric model. 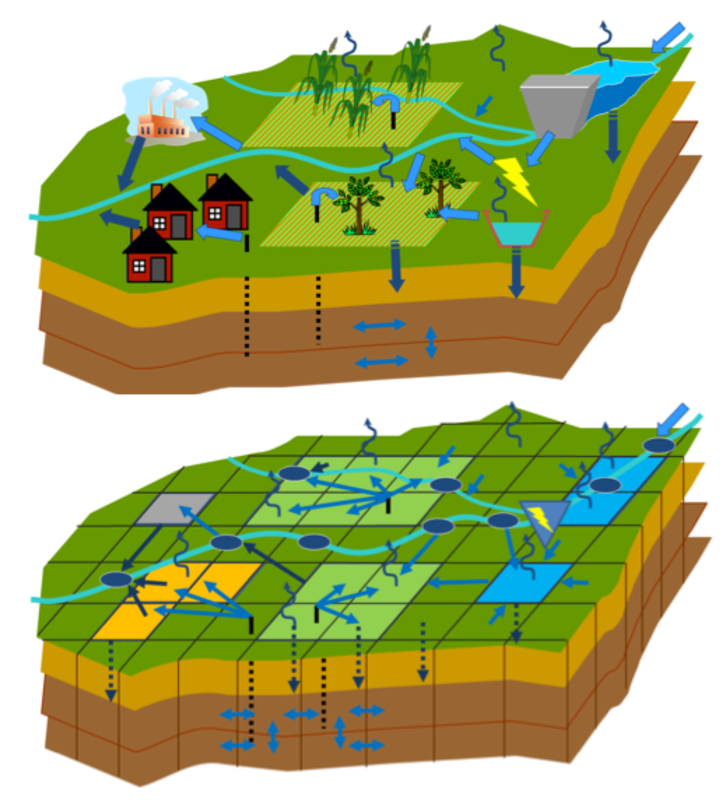 Conjunctive Use of Surface and Ground Water Systems. In his career, Carter has implemented water models to address a variety of water resource issues in the United States, Canada, Australia, India, and Nepal. Clients include local, state, and federal governments, international aid agencies, private industry, land conservation groups, NGOs, and academic institutions. For the World Bank, CCI wrote Water Resource Software: Application Overview and Review to help guide software selection by water resource managers throughout India.